With Mybet Casino you’ll find your good and bad points. They do host a broad selection of online gambling activities including sports betting, card and table games, slot machines, and poker. They also offer helpful customer support. Unfortunately, their software has some serious malfunctions that interrupt the online gaming experience. With Mybet Casino, you’ll get the comprehensive online gambling experience. Let me break it down for you – Mybet offers sports betting, 3 roulette and 5 blackjack tables, 10 card games and craps, free poker, hundreds of casino table and slot games, live casino, plus 20 additional fun online games. 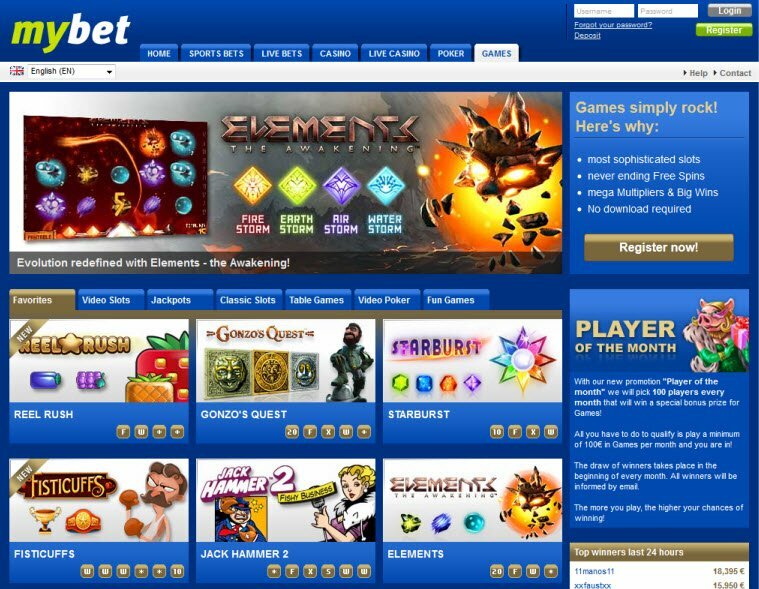 Amaya powers the Mybet Casino software and NetEnt supports all of Mybet’s games. However, their software needs improvement as it takes a long time to load. Mybet Casino hosts some great video slots including Medusa and Book of Ra. This is you place online to play Marvel and Action Hero themed slot machines including The Avengers, Captain America, Iron Man, Spider Man, Wolverine, King Kong, Wonder Woman, and Thor. With Mybet Casino online players can enjoy various versions of Roulette and Blackjack tables, Baccarat, Poker, and Craps. Also check out their fun game categories such as Golden Bonanza Keno, Pinball Roulette, and Darts. I experienced a lot of technical difficulties trying to play My Bet Casino which I realize can happen when playing an online casino. However, the software had some serious run-time errors. Want to join the Millionaires Club? With Mybet Casino bonuses you could become an instant millionaire with their huge jackpot pools. You can also find chances to win extra bonus cash playing their game of the month or taking a chance with their multi bonus, reload bonus, or riddle king bonus. Make the most of your bets by earning bonus cash in addition to the money you deposit. Mybet Casino online is your place to play Marvel and Action Hero themed slot machines including The Avengers, Captain America, Iron Man, Spider Man, Wolverine, King Kong, Wonder Woman, and Thor. 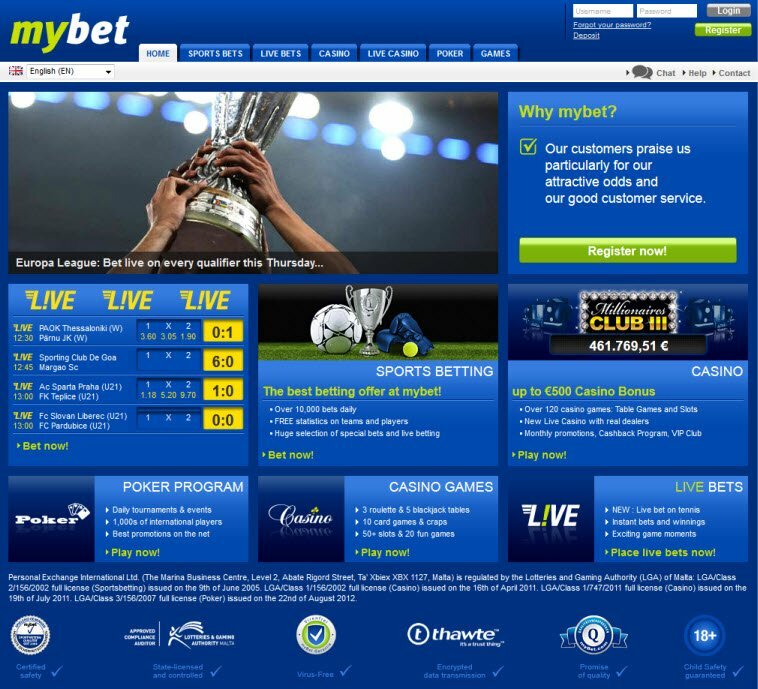 MyBet allows users to place bets using a variety of payment methods including PayPal, Paysafecard, Neteller, Visa, Mastercard, Ukash, Trustpay, Qiwi, Giropay, and Bank Transfer. These different options permit gamers from different regions of the world to find a reliable and secure banking method to make deposits and withdraw payouts. You’ll get all the help you need with mybet.com customer service. Once I accessed their online chat support, a customer service representative named Jeremy quickly addressed my concerns. 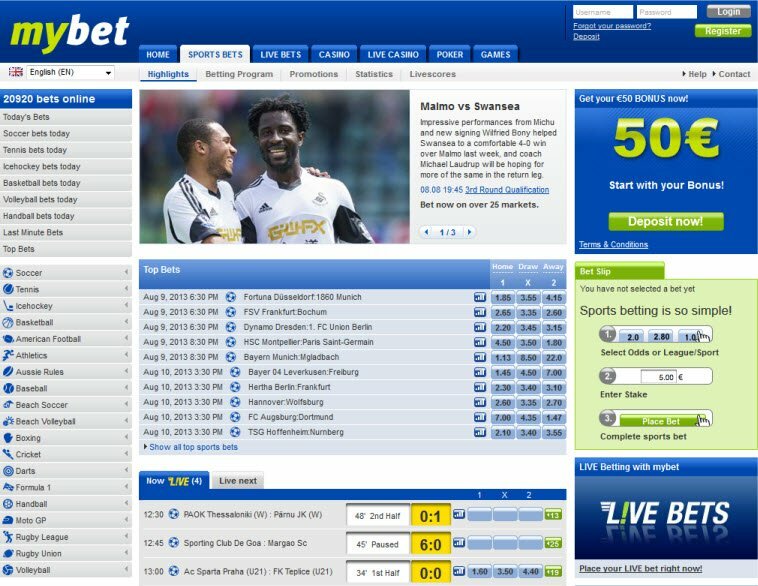 In addition, you can find information regarding Mybet Casino online available on their website. Mybet Casino also provides support via email, telephone, and fax. What games can you play on MyBet Live Casino? Mybet Casino offers Live Dealer games like Blackjack, Roulette, and Baccarat. The games stream real dealers from a casino.